The fourth and last lesson in the third level. If you're the athletic type, you totally need to learn how to sew with super-stretch lycra fabrics. 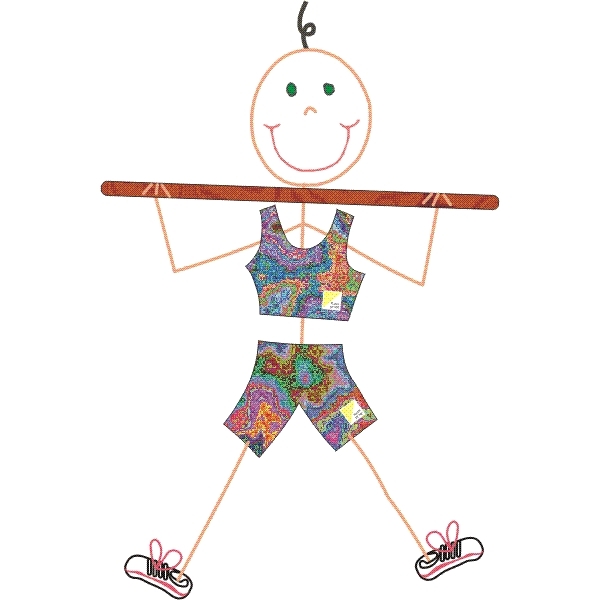 This sporty outfit is just the greatest for exercise, tumbling, gymnastics, bike riding, rollerskating, and even swimming if you choose the right fabrics. And it's pretty much super-comfy and nice for lounging around on a sunny afternoon for those of us who are less athletically inclined. The sport top is cut close to make use of lycra's ability to stretch. The armholes and neckline are low, but modest. The Bike Short has a molded fanny seam that allows a flat front with no center front seam. Smooth looking AND comfortable! New skills learned while sewing both garments include sewing super-stretchy seams and applying stitched-on elastic. A super bonus with this pattern: it is specifically designed so that the Sport Top pattern can be joined with the Bike Short pattern to make a fab unitard, but the student will miss out on the lesson of stitched-on elastic. It is better to make the unitard as a second project. Advanced knit sewing projects use stitched-on elastic in many places and many ways. Better to learn how to do it right with this carefully illustrated lesson. Another bonus is the fact that this exact pattern can be used with white, pink or colorful cotton lycra for wonderful undies! It's all about fabric choice when you can sew your own. 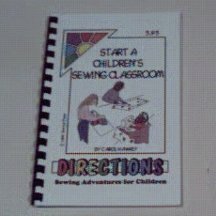 An average student can complete the two projects in this Sewing Lesson Module in about 4-1/2 hours each.